THE establishment of ACE Ltd will offer start-ups valuable business guidance while giving entrepreneurs a new voice. The Action Community for Entrepreneurship will also get a new home at Launchpad@one-north in the Ayer Rajah industrial estate, the heart of Singapore's start-up community. It signed a memorandum of understanding with JTC yesterday on managing the facilities there. The Launchpad comprises two new buildings - Blocks 73 and 79 - which will be ready for occupancy by the end of November. It also includes Block 71, the original place where many early start-ups were located. Revenue earned from this and ACE-organised events will help support the organisation. Spring Singapore will help fund it initially, but the amount was not disclosed. ACE chairman Steven Fang said yesterday: "Our aim is to provide the resources, business guidance and mentorship to grow local companies into billion-dollar global enterprises." It will also be the voice for start-ups and entrepreneurs on policy matters and continue to reach out to young people to support their entrepreneurial efforts, he added. ACE Ltd will set up an Ideation Lab to help aspiring entrepreneurs access resources like venture capital companies here and other facilities. It will also manage a one-stop business concierge where entrepreneurs can get services like legal, banking, accounting and auditing. "If an entrepreneur walks up to our office with an interesting idea, he should be able to prepare the forms to start a business, open a bank account and other necessary steps," Dr Fang added. ACE will support entrepreneurs and young companies, including high-tech ones, Internet firms as well as brick-and-mortar businesses. This is a move away from the "old" ACE which focused mostly on high-tech and Internet start-ups. The old ACE was set up in 2003 as a private-public sector movement to create an entrepreneurial environment here. Mr Teo Ser Luck, Minister of State for Trade and Industry, was chairman between 2012 and this year. The Entrepreneurship Review Committee chaired by Mr Teo last year recommended that ACE be led by the private sector because entrepreneurs would be better placed to think of relevant activities. Mr Teo, who was present at the signing yesterday and is the patron of ACE Ltd, said: "This is a milestone event for us. This empowers the private sector, allowing them to be more creative in building up the entrepreneurship community." 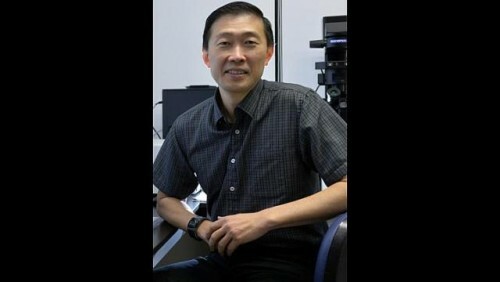 In places like Silicon Valley in California, entrepreneurs and start-ups are well connected, but that is not the case for Singapore because the start-up culture is still young, he noted. So there is a need to connect entrepreneurs, investors and others together here and globally. Mr Teo is also forming an international advisory panel comprising founders of well-known start-ups, who will meet here regularly to help Singapore identify other areas that can help the start-up community. They can also provide global market information and even access to venture capital funds, he said. "Through them, we can learn faster what else Singapore needs and we can form the appropriate policies."